My favorite part of this style are the sneakers cause make his outfit so 80's ¿What is your favorite part? I am so in love with that delave shirt! 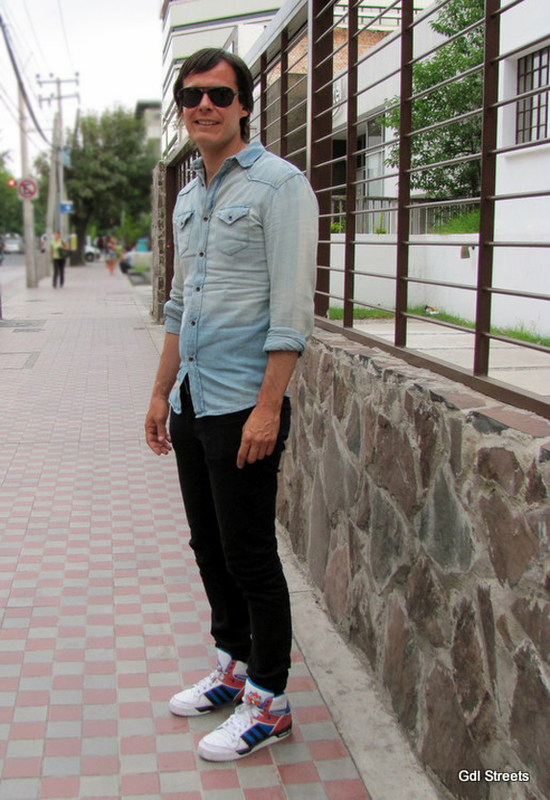 Yo ame sus tenis en definitiva. No su look esta muy bien mejor el!! Akire: su look esta excelente y el viejo se ve bien apetecible!